GCLA’s Church in Atlanta, Georgia started in 2005, after Pastor Mandy Fernandez and around 50 people from the church in Miami moved to Atlanta to expand the GCLA movement of churches Stateside. 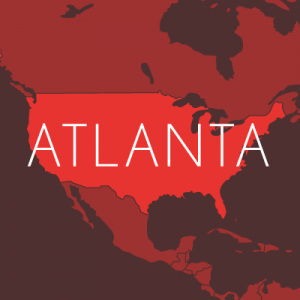 Atlanta, much like Miami, has a large Latino population, making it a great place to continue GCLA’s mission of planting churches in every important Spanish-speaking city. By April 2005, The Rock Church had its own building in its first location, Woodstock. Since The Rock started, it has expanded to have three locations, each meeting at different times. The Rock is unique in that it’s a bilingual church, with two services in Spanish and one in English. “Our pastors, staff and members come from all walks of life: from students to teachers, from factory workers to business owners. We also boast a hodgepodge of nationalities: from Peru to the United States, from Germany to Brazil. In 2006, Fidel Guerrero was ordained a pastor. Shortly after, he retired from American Airlines where he was a pilot to commit more time as a pastor. One of its many missions, The Rock hopes to have six congregations by 2016 to further the Gospel throughout Atlanta and its surrounding area.